My favorite yoga class is only offered in the summer, and naturally, it’s an outdoor class. When you live in Denver, you spend as much time as possible outdoors in the summer. While it can get extra warm at times, it’s mostly incredible and lovely and too beautiful to waste. Of note, we can spend time outside all year round… but summer will be forever my favorite. 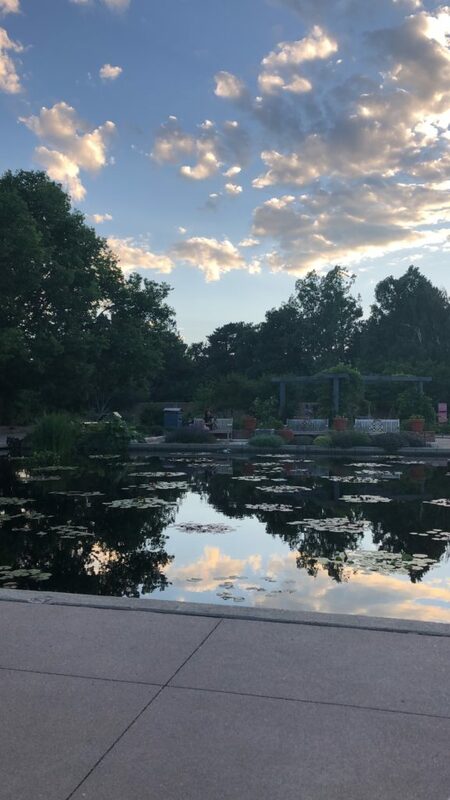 One of my frequented spots in the city year-round in the city is the Denver Botanic Gardens. I will say, you haven’t truly experienced the gardens until you’ve had a chance to attend their Vino, Vinyasa, and Violins classes. 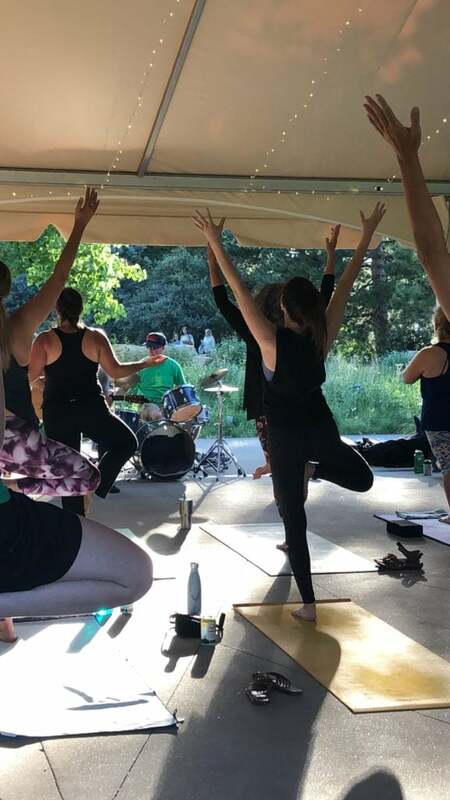 Held monthly and taught by the incredible Blake Burger, this outdoor yoga practice is a must-do summertime event. Not only do they have lovely live music and occasional gelato tastings, but it takes place al fresco with the gorgeous gardens as a backdrop. With the class ending early in the evening, our ticket entry allows us stay in the garden until about 830pm to sip on wine, nosh on snacks, and visit with friends. We usually find somewhere to tuck away in the gardens to hang out until the place shuts down. I love to bring a rainbow-colored snack that is full of healthy ingredients, but is still fun to eat. 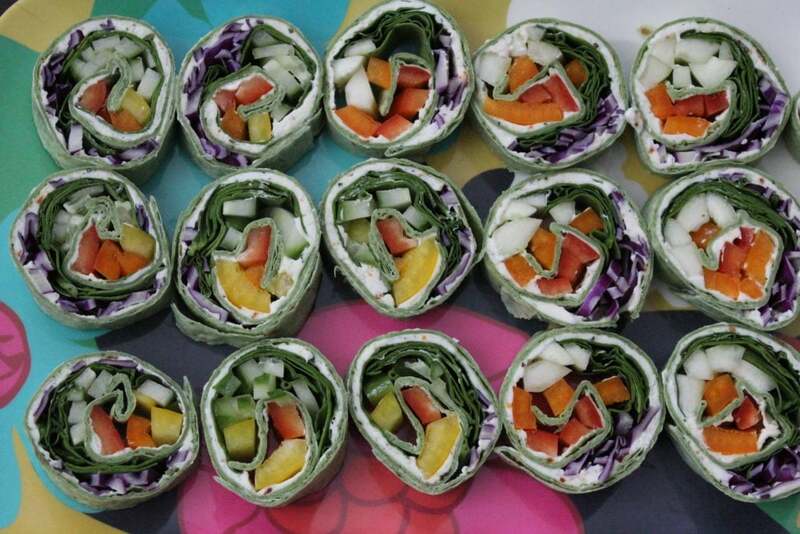 A veggie tray just won’t do for girl’s night at the gardens… but rainbow veggie pinwheels? Yes, please. These also store well, and can be stored for a few hours before you’re ready to serve them. I didn’t have any leftovers, so I’m not sure how they survive overnight… but it may be best to assemble them right before you eat them to be safe. Also, feel free to use any colorful veggies you have in your fridge to make this dish. 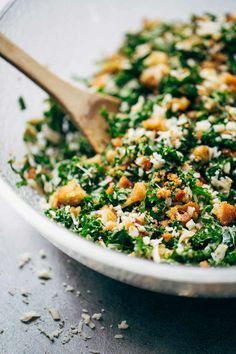 You could even add a protein, if desired. Get creative! 1. 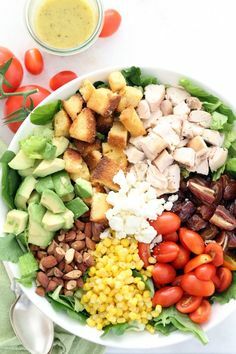 Mix together the cream cheese and italian dressing mix until thoroughly combined. Add 1-2 Tbsp. milk to loosen up the cream cheese and to make it more spreadable. 2. Spread about 2 Tbsp. of the cream cheese mixture on top of each tortilla. Use a flat spatula to spread it out, like frosting on a cake. 3. Add about 2 Tbsp. 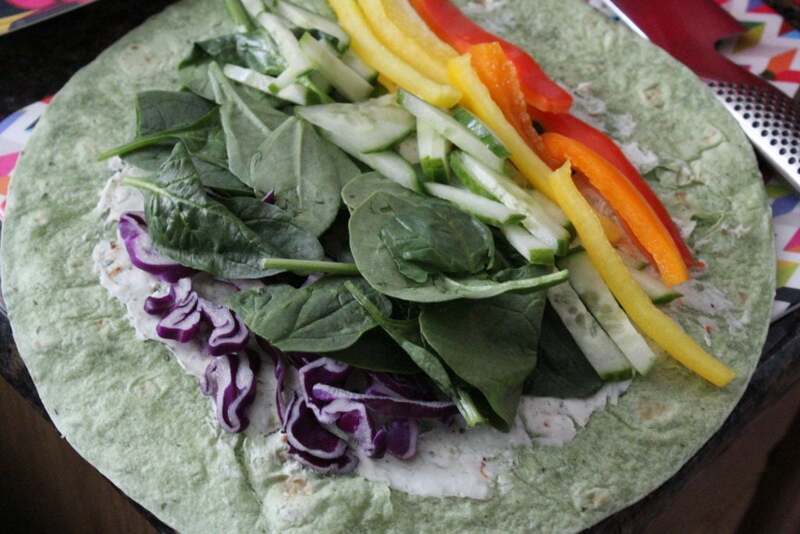 of each veggie to each tortilla, arranging them in a rainbow pattern. 4. 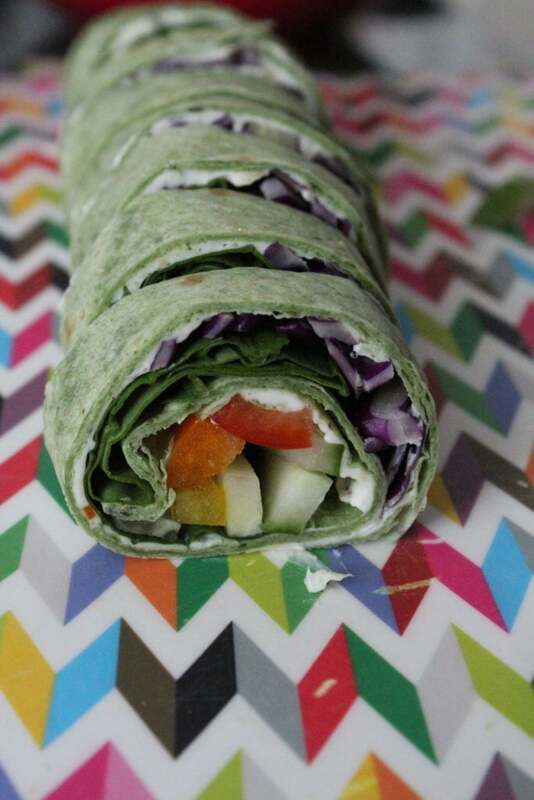 Roll up the tortilla tightly, and add a bit of leftover cream cheese to seal the edge of the roll. It has a glue-like effect, trust me. 5. Slice the tortilla into about 1/2″ slices, and place them on a tray to serve. 6. 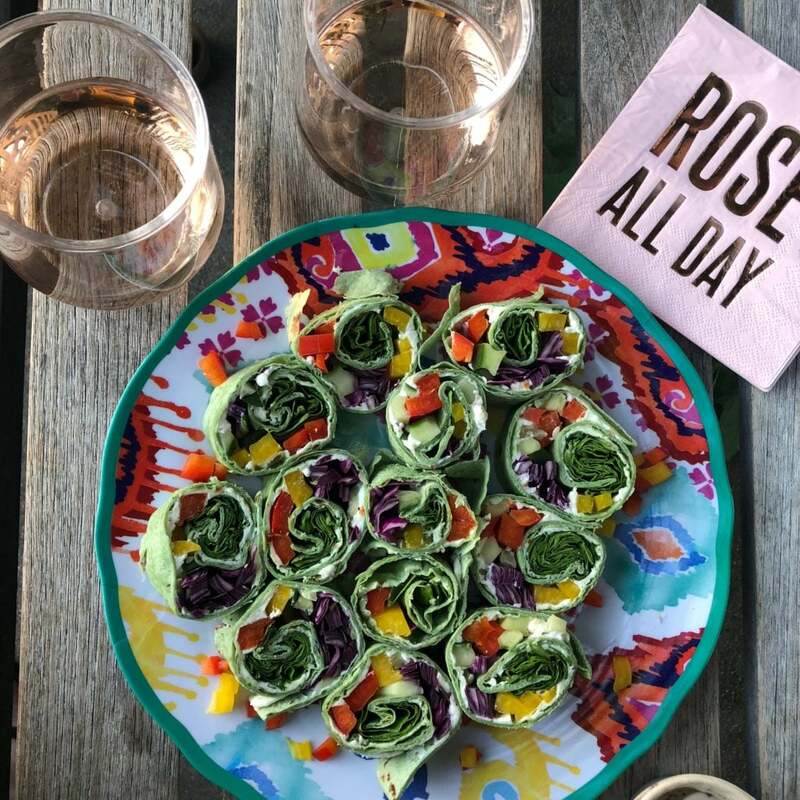 Serve with rosé and enjoy!